So your recent Now List activity didn’t go as planned eh? I’m sorry to hear that. What happened? Really? How awful. Allow me to share with you a similar story. A ‘flotation tank’ (for those of you who are new to the concept) is a large bath filled with warm salt water and a sound proofed lid. Once the lid’s closed the lights go off leaving you floating in the dark, and the silence. The fact that most of your senses are deprived (you can’t see anything, hear anything etc) allegedly allows your mind to enter a deeply relaxed state. One hour in the tank, so they say, is akin to several hours of fabulous relaxing sleep. Unfortunately, on the day that I tried it I had a small paper cut on my thumb. Man – you do not want to get salt water on a paper cut! Neither do you want to thrash about in an effort to keep your thumb out of the water. You might end up splashing salt water on your face. Man – you do not want to get salt water into your eyes either! That thirty minutes in the tank (I got out early) felt like several hours of torture. If I’d have had any secrets to tell I’d have spilled them after the first few minutes. Not to be deterred, and determined to have something good to write for this blog, I booked a second flotation experience. This time I took up the offer of some optional ‘relaxing’ music. You know the sort of thing – pan pipes played softly against a background of waves bubbling over rock pools. Unfortunately there was a problem with the CD player. Instead of drifting into the best sleep I’ve ever know, I lay in the dark, floating to a series of irritating clicks and buzzes. Finally, determined to make sure I got the best ‘experience’ possible, the flotation centre gave me a third, complimentary session, booked me into the most spacious state-of-the-art pod they had, and double checked everything. I lay there for fifty minutes. But my god, I was so bored. I did have plenty of time to think though, and as I gently tapped the side of the pod and floated from one side to the other I began to realise that actually, flotation might be over rated. My own bath is pretty darn nice. It sits under a huge window. And if you open that window on a summers day there’s really nothing better than lying up to your chin, in soapy bath water – that won’t irritate your paper cuts – whilst looking up at the puffy white clouds, and listening to the sounds of the birds chirping and generally being terrorised by my cat. I got out of the tank, went home, and did exactly that. 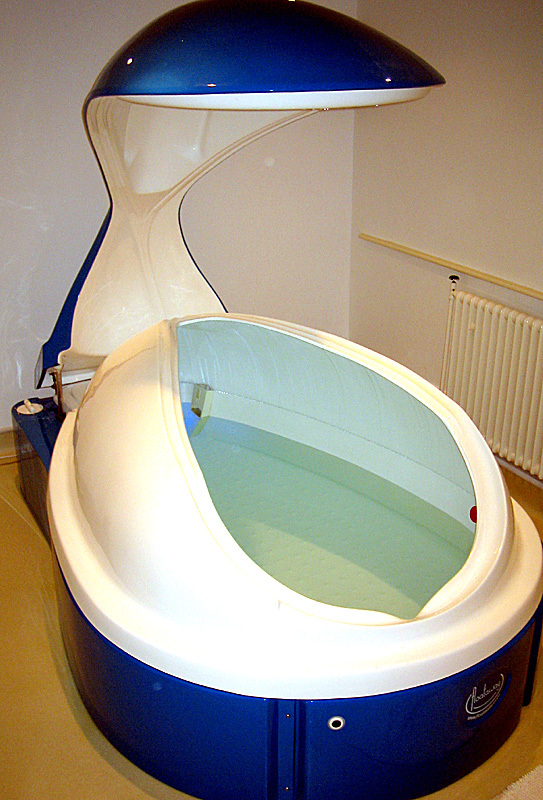 Was my flotation tank experience a wash-out? But does that mean that my next Now List activity will be a disaster? But then I’m sure you realised that. Previous postFAQ: Potential Now List Problem #1 – Money. Lack of. First of all, I wouldn’t last two minutes in that thing. It’s not a phobia, it’s a preference! I, too, will stick with my own bath tub. Plus, a bag of Epsom salts cost only around $3.00 US (three tubs full, too). How much did your float-illa pod-venture cost you? 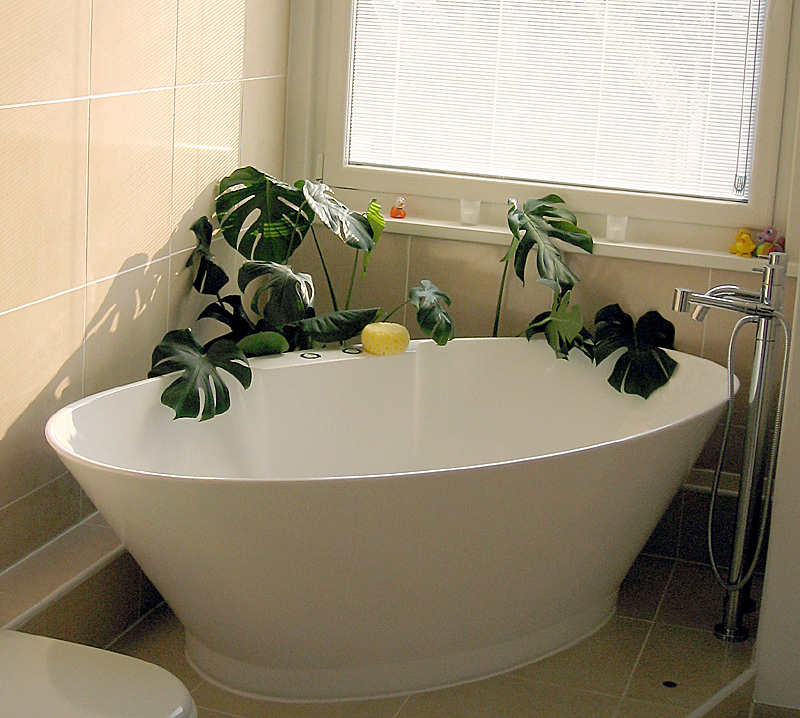 I’d post a photo of my tub, but the cleaning lady (yours truly) hasn’t come ’round lately. I can’t remember now how much it cost – it wasn’t cheap though. The idea has always intrigued me – sensory deprivation leading to uber-refreshing sleep. As I sit here now yawning my head of, after another night of tossing and turning, great black bags under both eyes, I’d happily part with my life savings to feel wide awake and energised. Although my lack of any substantial savings is partly responsible for the lack of sleep in the first place. Oh the irony.